Commitment and compliance to the Mubadala Petroleum HSSE Policy Statement, Operations Management Framework and Mubadala Core Values. Work with maintenance disciplines to isolate instruments / systems as directed for maintenance activities. Operates the plant and process equipment safely, efficiently, & effectively in compliance to Production Procedures and Written Instructions and provide routine monitoring of the plant and process equipment, including taking production readings and reporting any discrepancies to achieve the expected / targeted production rate. Active participation in all HSE program by achieving individual HSE target and demonstrate HSSE commitment from an initial plan until the completions. Achieve the agreed operation PM target and first line maintenance target. Maintain good communication with peers and supervisors. Propose ideas to improve operations safety and reliability. Minimum of 3 years Diploma Degree. Minimum of 5 years’ operating in an oil and gas environment with at least 2 years in an offshore environment. Understanding of natural gas processing including gas compression system, Sub Surface and Down Hole equipment, Surface facilities support equipment. Demonstrates a basic understanding of instrumentation, electrical and mechanical equipment. Computer – proficient in the use of MS Word, MS Excel and MS Outlook. Strong safety and environmental awareness. Ability to read P & ID’s; familiar with and ability to perform Job Safety Analysis. Experience in X-mas tree operations. Position is for Indonesian National only. Applications will be closed on 15 October 2017. 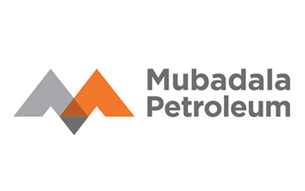 Thanks for reading Mubadala Petroleum Jobs: Field Operator. Please share...!